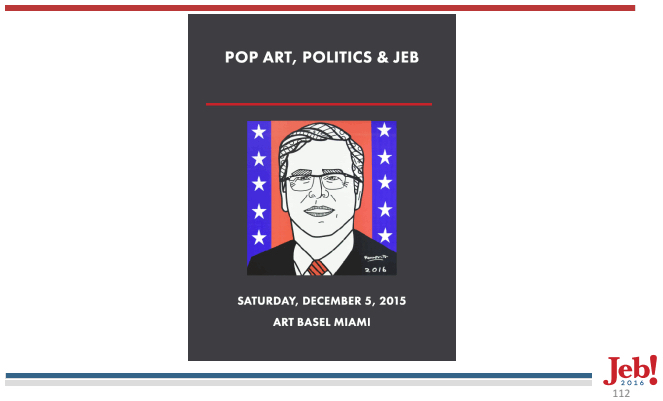 “Trendy” Republican art fans, mark your calendars: according to a 112-page internal document recently leaked from the Jeb Bush campaign, the Florida governor and Presidential hopeful is planning a pop art–themed fundraising event at Art Basel Miami Beach (ABMB). The announcement is illustrated with an awkward “pop” portrait of Jeb himself, a bit like a high schooler’s take on Shepard Fairey’s famed Obama poster. It remains to be seen what exactly the “Pop Art, Politics & Jeb” event will entail — debuts of paintings by Jeb’s Renaissance man painter brother? 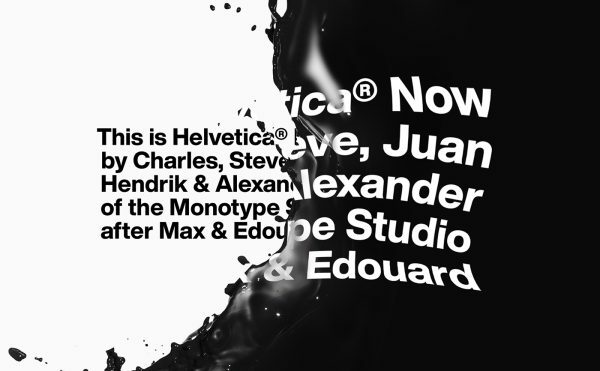 — or why this conservative dynasty son thinks referencing a mid-century art movement known for its dissenting worldview and wry commentary on American mass culture will boost his standing. Maybe he’s taking a cue from Trump and banking on Jeb! hats becoming an ironic accessory among the ABMB set.